Apple released third iOS 9 beta to developers yesterday, on July 8. 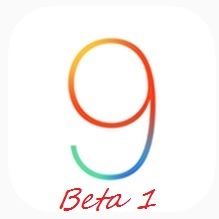 You can download links and access more information of iOS 9 beta 3 here. However, for those who signed up for the public beta, now is the good time to wake up! If you are trying out the first iOS 9 public beta, don’t forget to let us know what you think of the looks of this upcoming operating system. iOS 9 was released at WWDC keynote earlier in June. This year Apple’s mobile operating system focused on functionality and performance improvements. Bringing the long-awaited multitasking features, iOS 9 also brings in some other changes in apps like News, Maps, and Notes. The OS brings faster performance, added functionality, user-focused features, multitasking for iPad, and more.